The 86th Draw for Bangladesh Bank 100 Taka Prize Bond was held and published on 31 January 2017. Prize Bond (PB) is a form of savings of Bangladesh Bank (BB) and it is interest-less bond. 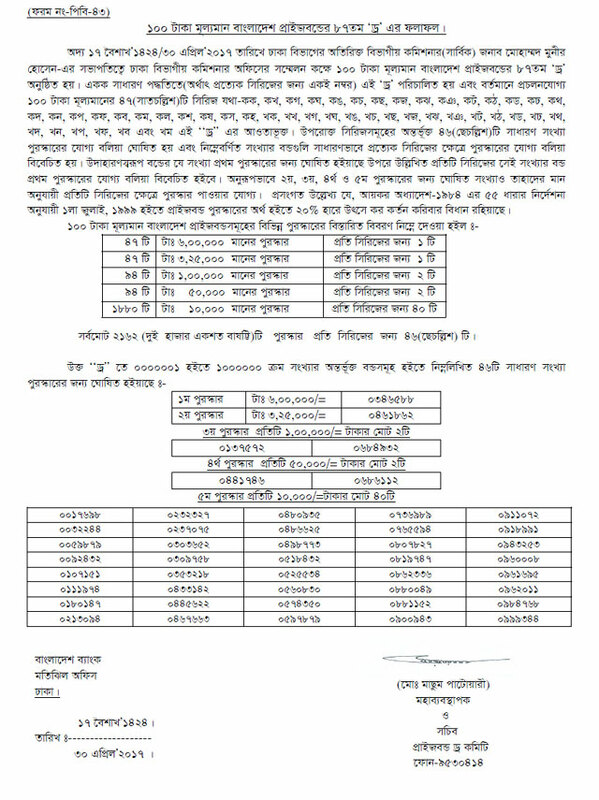 A total of 2070 prizes announced for 45 series of the prize bonds. In each series there 46 prizes. 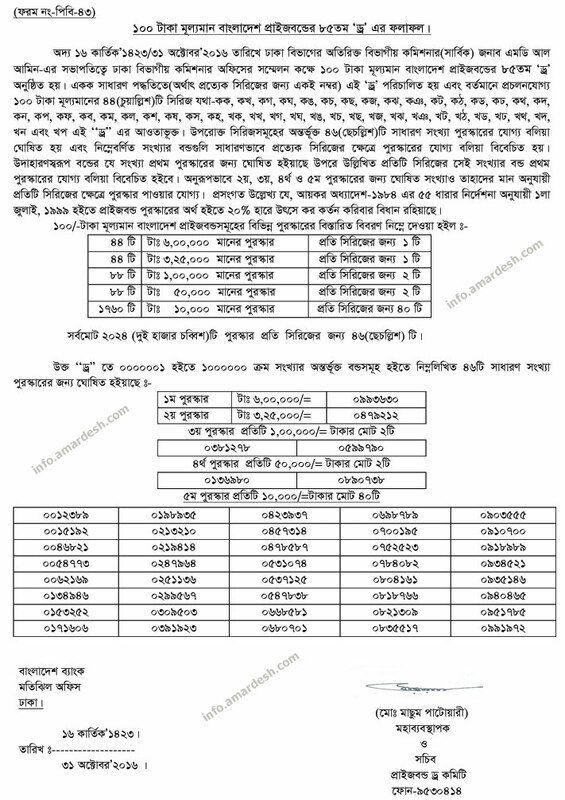 The lottery is commenced on every three months by Bangladesh Bank. 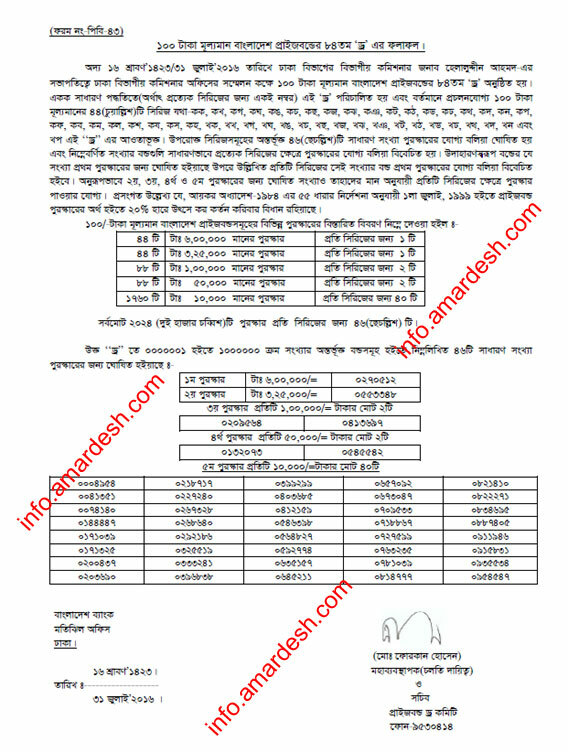 The 85th Draw for Bangladesh Bank 100 Taka Prize Bond was held and published on 31 October 2016. Prize Bond (PB) is a form of savings of Bangladesh Bank (BB) and it is interest-less bond. A total of 2046 prizes announced for 44 series of the prize bonds. In each series there 46 prizes. The lottery is commenced on every three months by Bangladesh Bank. 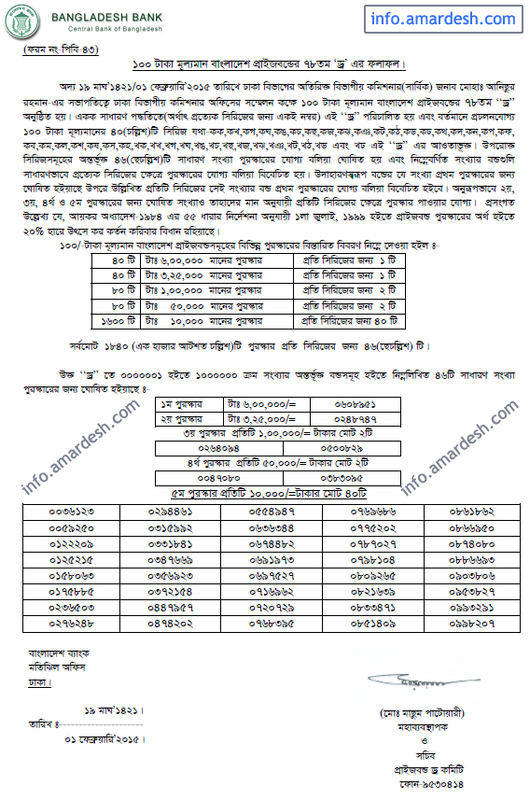 The 84th Draw for Bangladesh Bank 100 Taka Prize Bond was held and published on 01 July 2016. Prize Bond (PB) is a form of savings of Bangladesh Bank (BB) and it is interest-less bond. A total of 2046 prizes announced for 46 series of the prize bonds. In each series there 46 prizes. The lottery is commenced on every three months by Bangladesh Bank. 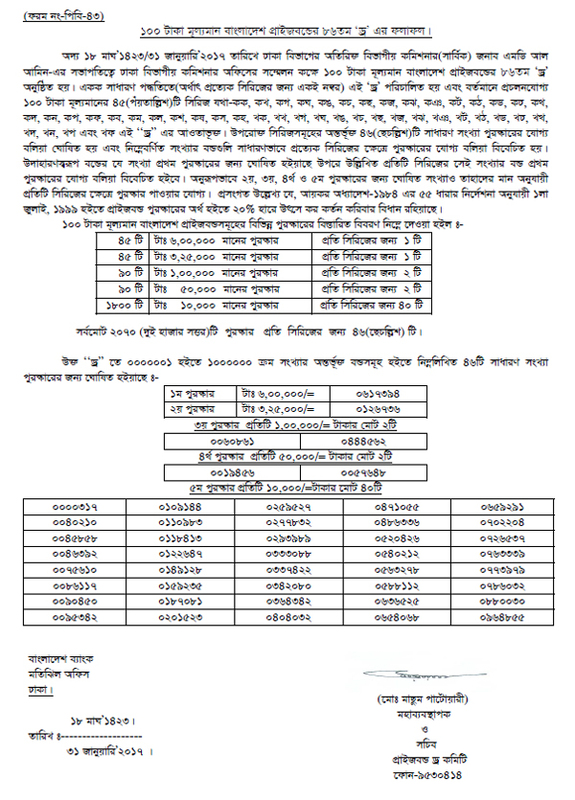 The 75th Draw for Bangladesh Bank 100 Taka Prize Bond was held and published on 31 April 2014.